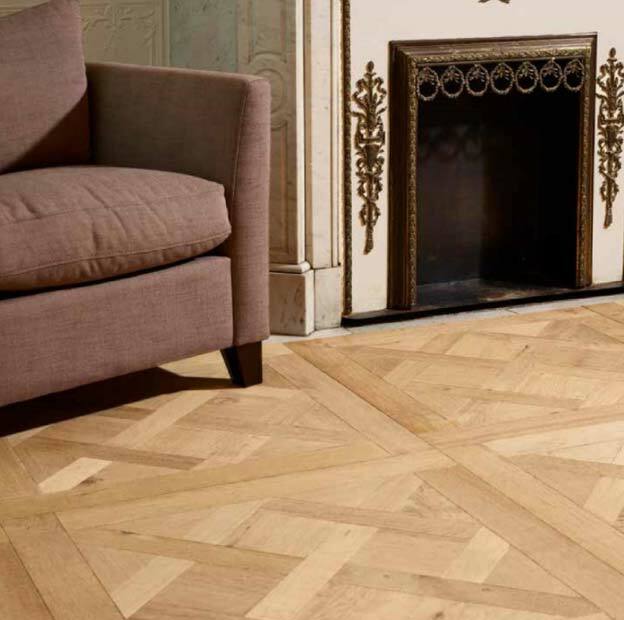 This Versailles geometric wooden floor is a traditional French floor that was used in some of the greatest houses of France. 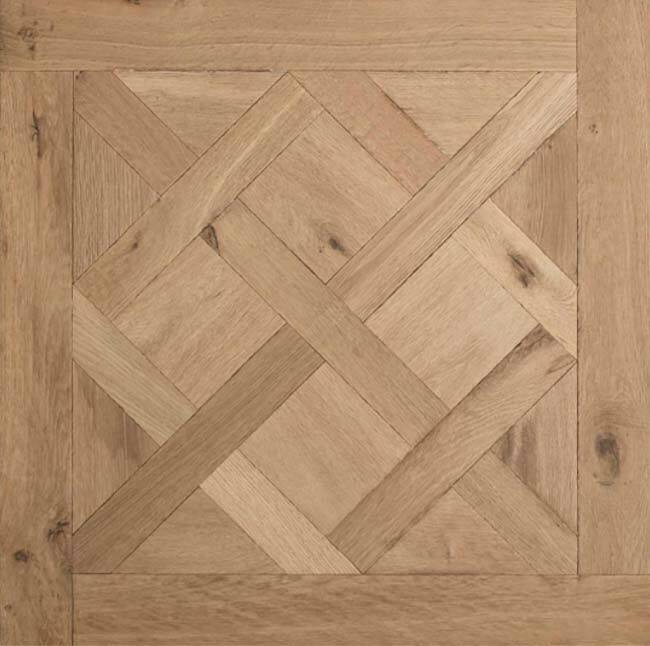 This parquet wooden floor has a slight distressed finish and is manufactured in 800mm x 800mm panels that are designed to adhere to the floor. 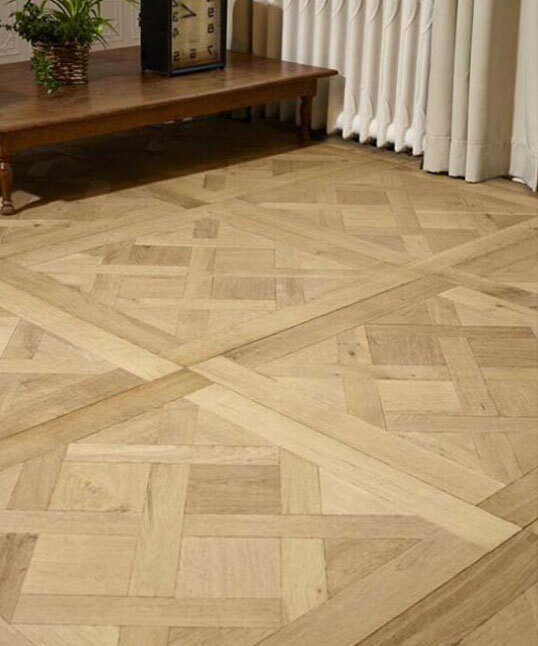 The Versailles panels are supplied as an engineered floor which is suitable for underfloor heating. 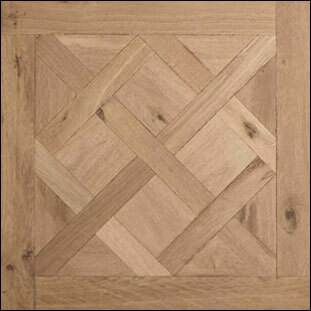 This parquet floor is supplied smoked, brushed and un-finished for on site finishing. 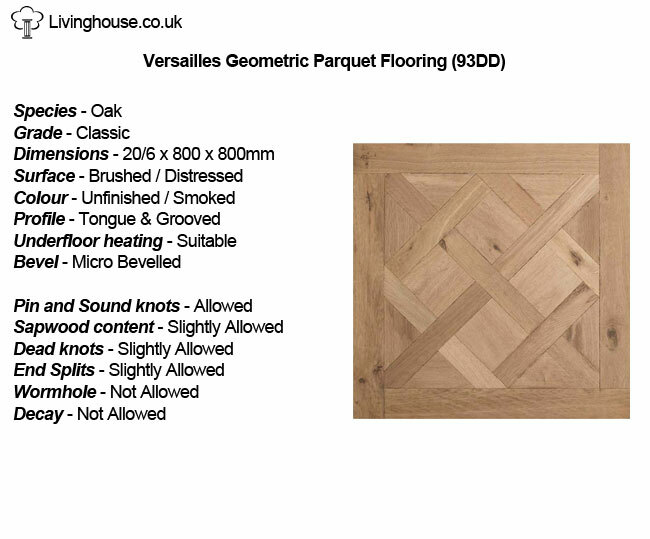 All floors are made to special order please allow 4 weeks for delivery. 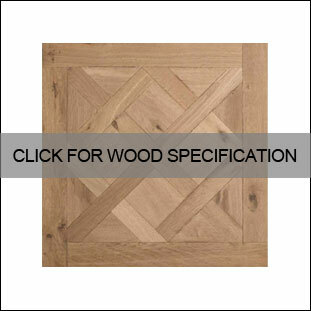 * 2 boards per pack.